A George IV rosewood whatnot. 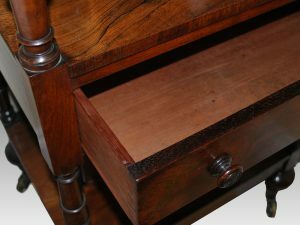 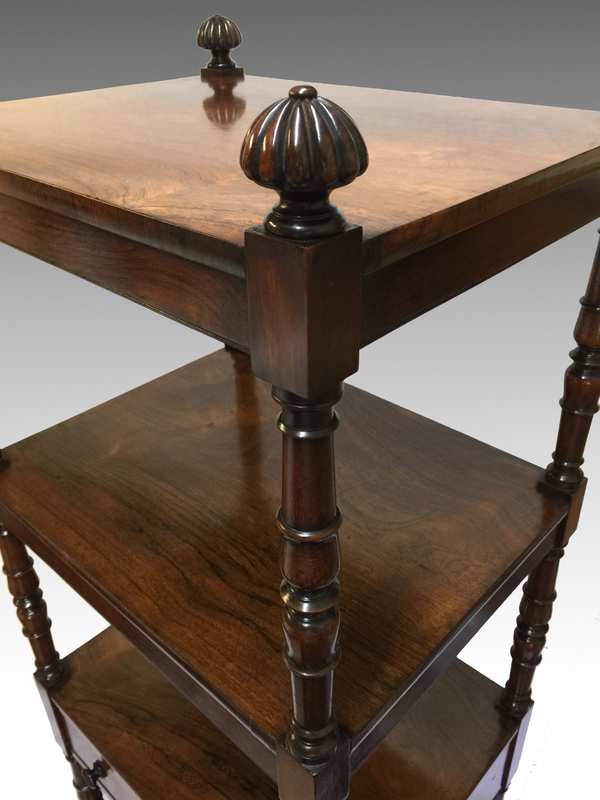 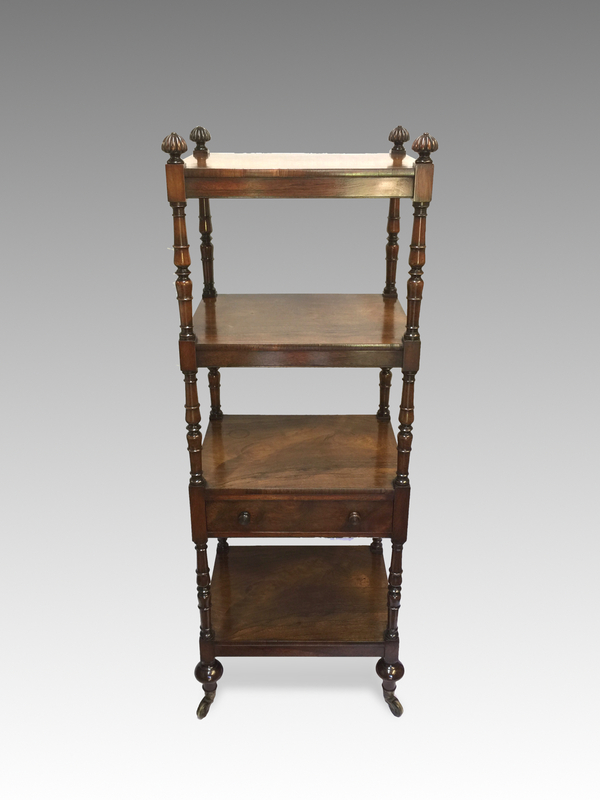 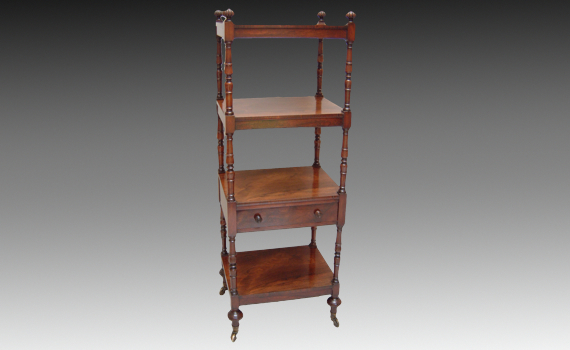 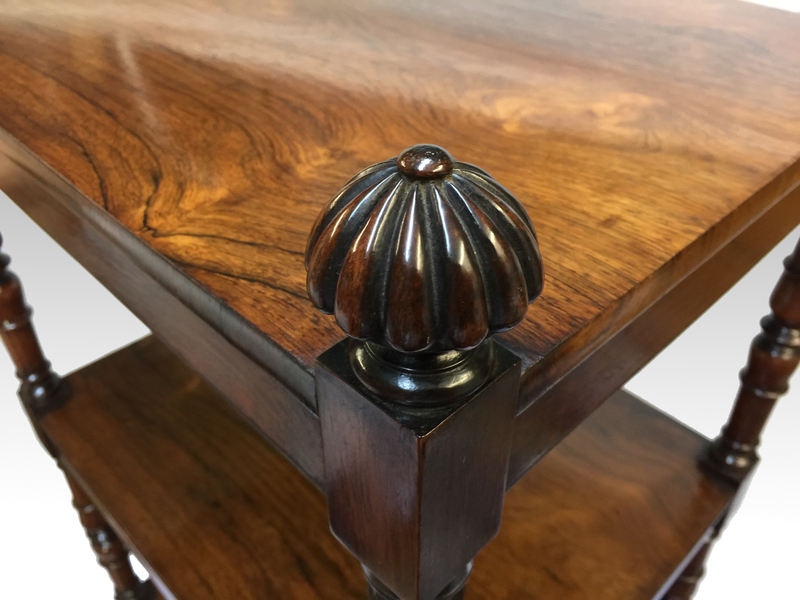 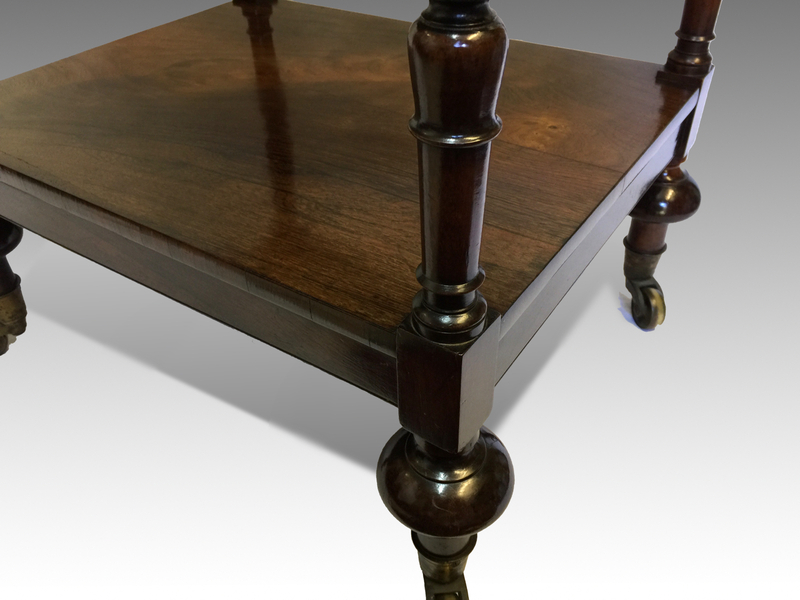 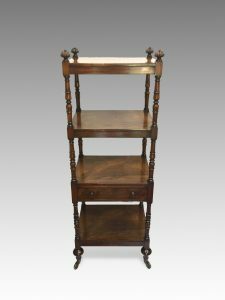 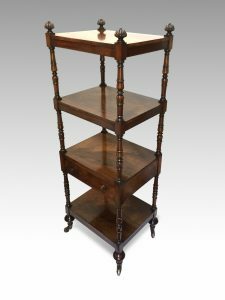 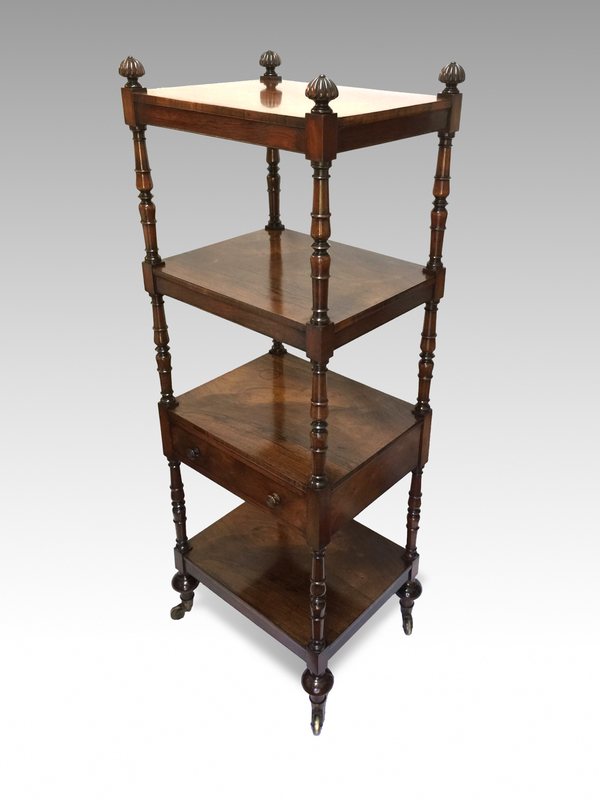 The four well figured rectangular tiers each with turned supports and with reeded turned finials, the third tier with mahogany lined drawer and original turned pulls, standing on turned feet with original brass caps and castors. Castors stamps ‘I.W LEWTON PATENT’. 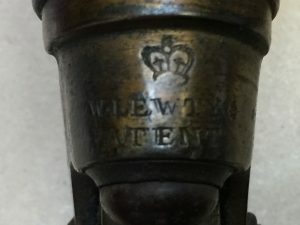 Indistinctly inscribed in pencil to under tier ‘POOL’.